UMASA welcomes new scholarship opportunities for Indigenous students. UMSU has committed to fund up to 25 new scholarships for Indigenous students. The UMSU Award for Indigenous Community Leaders, which will be spread out over 12 years beginning this academic year, will be funded through UMSU’s $16.2 million contribution to the U of M’s Front and Centre campaign. The award is open to First Nations, Métis, and Inuit students who are “leaders in their communities,” and recipients can be nominated by students, faculty, and staff within the University of Manitoba, along with members of the community. The submission date for nomination letters closed on Feb. 16. UMSU president Tanjit Nagra said the scholarship was an opportunity to reward students who are enriching their communities, as well as provide an incentive for further community outreach. “These are students that are already volunteering their time outside of their classes to make the experience for those around them better, so I think it’s a great way to award them for that, but also to encourage more students to do it,” she said. Amanda Fredlund, female co-president of the University of Manitoba Aboriginal Students Association (UMASA), said she was “excited” about the announcement. Fredlund said that the award would provide students the opportunity to have the best possible experience while studying at the U of M.
“I think that it will help students stress less off-campus and be able to focus more on their studies,” she said. Fredlund added that some students who live far away from their communities can experience “culture shock,” and that student aid can be beneficial to their overall campus experience, especially because of the time extra funding can free up to pursue activities outside of the classroom. “There’s a lot of opportunities that students miss out on because they’re worrying about their bills, or because they’re just stressed about how they’re going to make ends meet every month,” Fredlund said. Nagra noted that bursaries and scholarships are also an important aspect of increasing the Indigenous student population on campus. 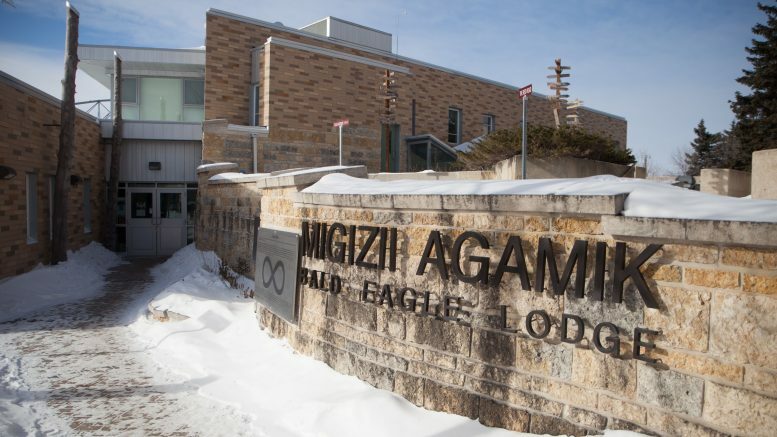 The University of Manitoba Indigenous Viewbook states that there are over 2,400 F irst Nations, Métis, and Inuit students – approximately eight per cent of the student population. “Looking at the population of Indigenous people in Manitoba, and then looking at the population at the U of M, there is a huge disparity between the two numbers – we need more Indigenous enrollment,” she said. Fredlund said that awards like this are important incentives for Indigenous students, who she noted face many societal hurdles even prior to coming to the university. “There’s a lot of students who encounter really triggering things because of that history of inter-generational trauma,” Fredlund said. “I think the university is still catching up on ways to be sensitive to a lot of those traumas that exist, and it’s nice that we have the [National Centre for Truth and Reconciliation] here now – that helps a lot. But there’s still incidences that happen where students are in classrooms and triggering effects or just encountering peers or professors or circumstances where they’re kind of set back.